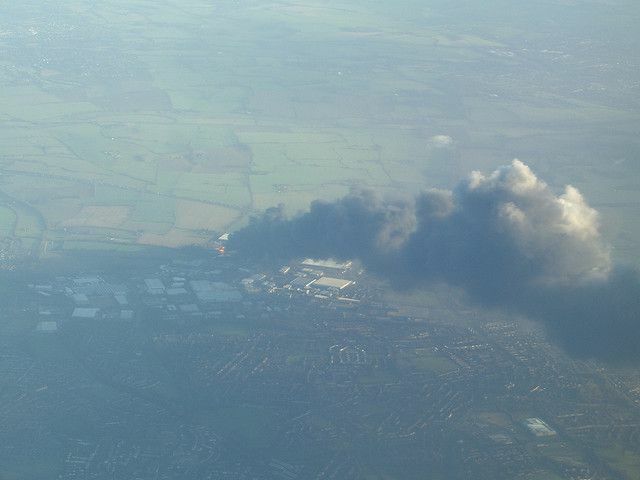 On 11 December 2005, three explosions hit the oil tanker terminal in Buncefield, 40 kilometres from London. The powerful detonations that ravaged the Total, Texaco, BP and Shell fuel depots were accompanied by several fires. 23 large fuel tanks caught fire and burned for 5 days, destroying most of the site and creating an enormous plume of black smoke that spread over SouthEast England and beyond. The explosion and the fire were caused by overfilling an oil tank. In fact, leaked hydrocarbons generated a cloud of inflammable vapour that spread across the entire site before violently catching fire. The atmospheric pollution was also limited. Although there were temporary spikes in pollution, the levels remained below air quality standards. The companies involved pleaded guilty of failing to comply with health and safety rules. In 2010, they were sentended to pay 11 million Euro compensation fine.